It’s no secret that I love purples. 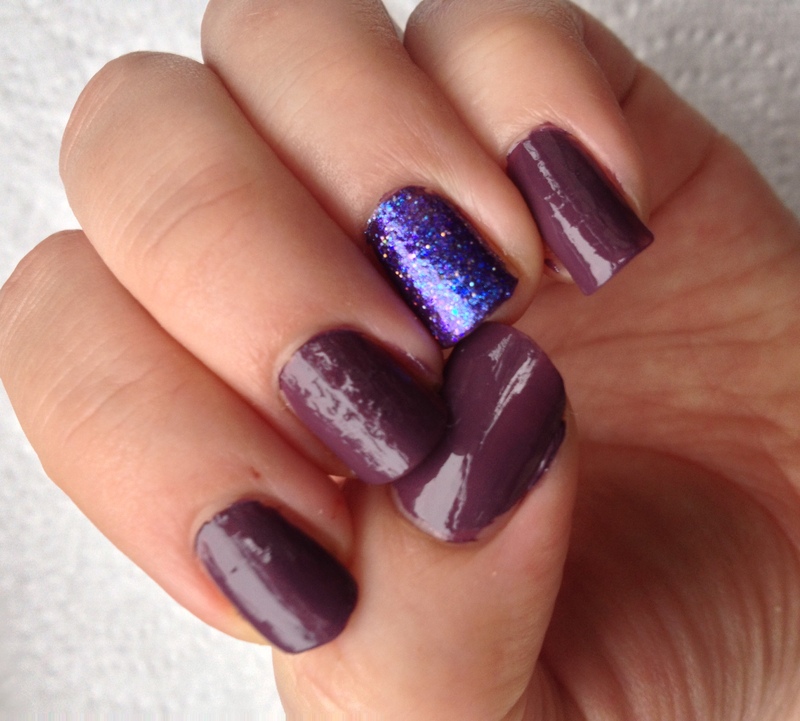 And what better time to indulge in purples and glitter! 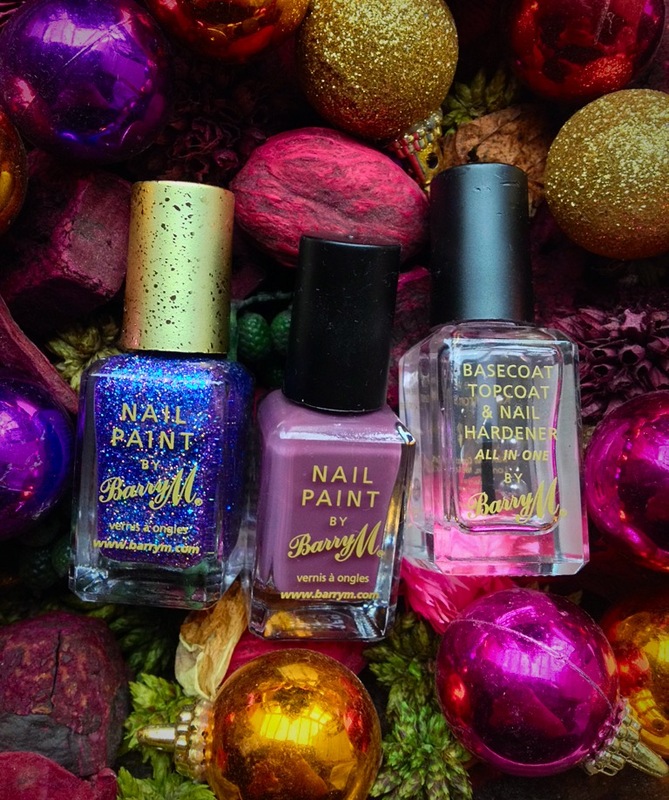 A toned down “Vintage Purple” and a bright glittery “Fashion Icon” by Barry M really gives your nails a christmassy, but not too over the top festive look that will give your overall look a sophisticated, but party loving appearance. I used Fashion Icon, which by the way is a fantastic glittery polish with excellent colour and coverage quality, on my ring finger so that it gives my nails a dynamic and glamorous look, while the Vintage Purple tones down the nails and keeps it from looking too crazy. I topped it all off with the clear base coat from Barry M for extra sheen and to protect the nails from chipping. This look is a great option for people who don’t want to look like a disco ball, but want to rock some glitter and purples in the Christmas season. All three of these polishes are from Barry M, and are of great quality, colour and you don’t need layers of coverage to get your perfect standard. I highly recommend all Barry M polishes as their range of colours are the best out there, and Barry M do not test on animals. Yay!